You ever have those days where you go to sit down and blog, but can’t think of a single thing to write about no matter how hard you try? Well that’s been me this week. I don’t know maybe it’s because I’ve had a lot going on and haven’t had the time to do much in blogland. Or maybe because I’m still in shock that my post So God Made a Farmer’s Wife has had 68,000+ views in the 5 days that it has been published. I know that’s not much to many bloggers but to me it’s a big deal! For my 16th birthday my dad and I went down to McCool, Mississippi to pick up this tractor. 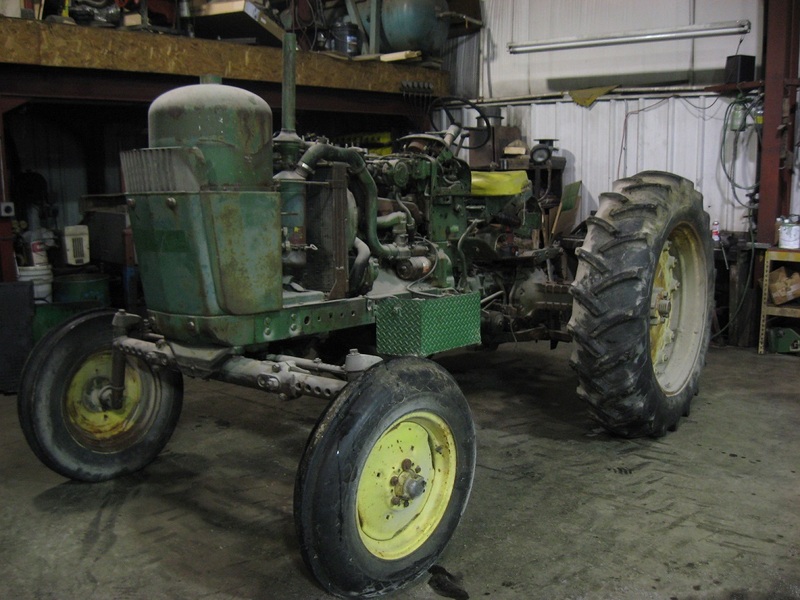 We brought it back to Iowa and restored it using a Reliance overhaul kit from Tom’s Agri-Diesel. 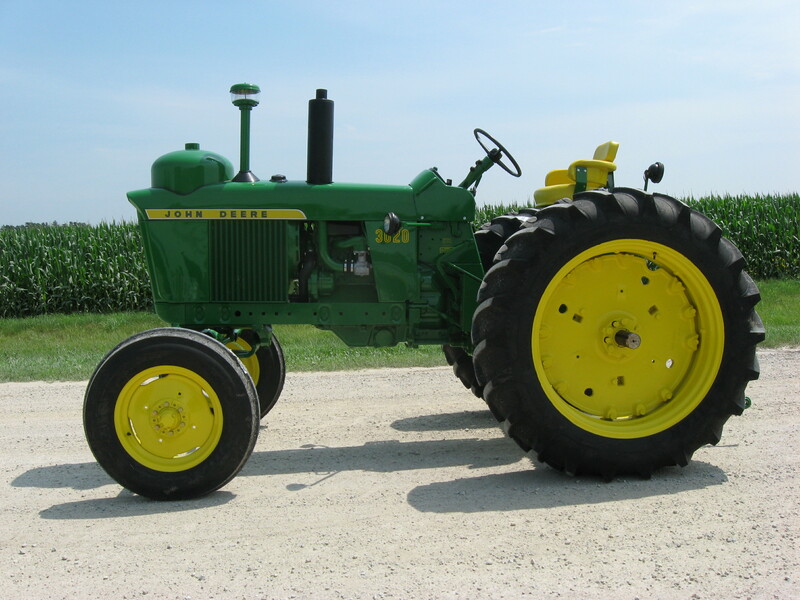 That summer it took 1st place at the Iowa State Fair in the Restored Tractor – Original class. We didn’t hear anything from Tom’s and actually forgot all about it until one day we we’re picking up parts and the employee mentioned seeing Kyle’s tractor in the newsletter. So that was a nice little surprise. Tom’s A-D contacted him in December to let him know he’d won and to send him the gift card and some calendars. 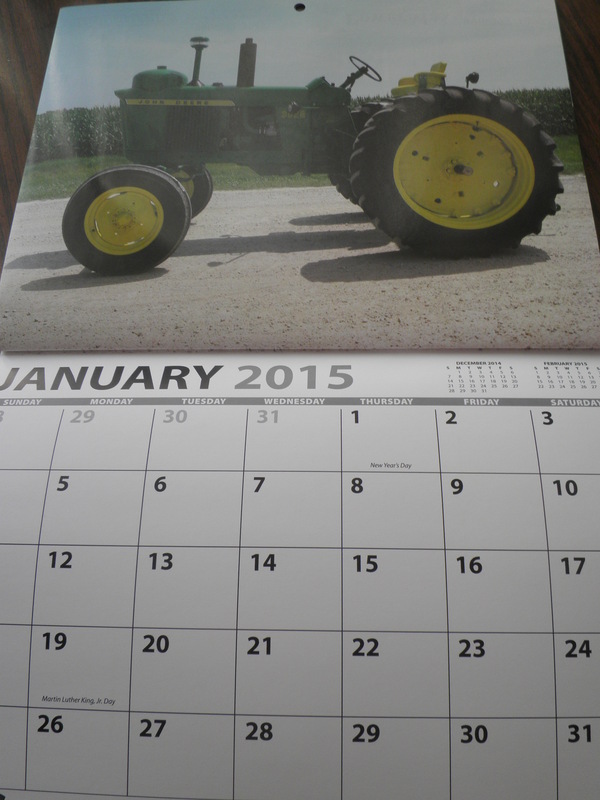 His tractor is featured in January and since the calendar contains January 2015, it’s featured twice! Another nice surprise. May I present to you the ‘before’ picture. She was quite the gem, don’tcha think!? 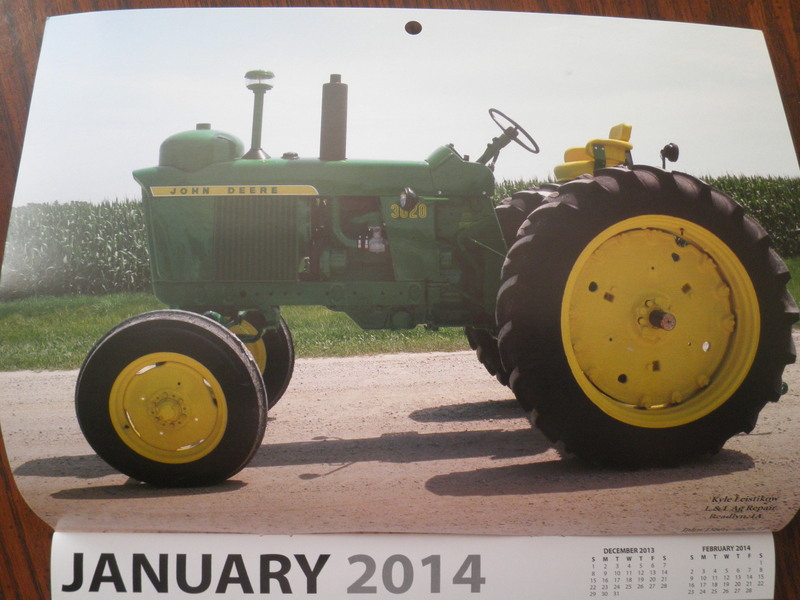 You’ve already seen the ‘after’ from the calendar, but here ya go anyways. You can see it. You can hear it. You can smell it. It’s in the air. We just got into the fields a couple of days ago. And with this brings long, long days and endless service call for Kyle. My boyfriend will become a figment of my imagination for the next several weeks. Sigh, here we go again! More posts and pictures to come. The countdown has begun. The weeks are ticking down. Soon it will be here. Harvest. The corn and beans are still green enough they can’t be harvested but you can tell by them getting browner everyday that harvest is near. This is a bittersweet time of year. It’s great weather, perfect for being outside and having bonfires. But it’s SO busy. It makes for some long days, early mornings and late nights. And my boyfriend is basically nonexistent. Some days I don’t accept farming very gracefully. Sometimes I just want to spend time with Kyle without him having to leave on a service call or to drive a tractor/semi. It’s gets lonely, I won’t lie. Meals get delayed. And I get jealous of those girls who can go out to a dinner and movie with their boyfriend without delay, interruptions, or ending the night early. There’s a lot of nights were it’s just me & Jules (our dog) until pretty late. But I get over it, it’s just a part of life. No farmers = no food. I knew what I was getting into when I started dating Kyle, but some days that doesn’t make it any easier. You have to learn to be flexible, like really flexible. 1. Find a hobby. Hello, blog. 2. Learn to be flexible. This is probably the most important. 3. Help out in the field or just ride around. 4. Spend time with family & friends. 5. Get a pet. Black labs make pretty good buddies. 6. Acceptance. This is happening whether you want it to or not. 7. Finish up those crafts and unfinished projects you have laying around. 8. Relax and have some “me” time. Catch up on that book or favorite TV show of yours. 9. Preparedness. Get things finished before harvest starts if you can, plan appointments, parties, etc. at slow times (I don’t think that really exists), make casseroles or cook-ahead freezer meals, and keep in mind what needs to get done other than fieldwork. 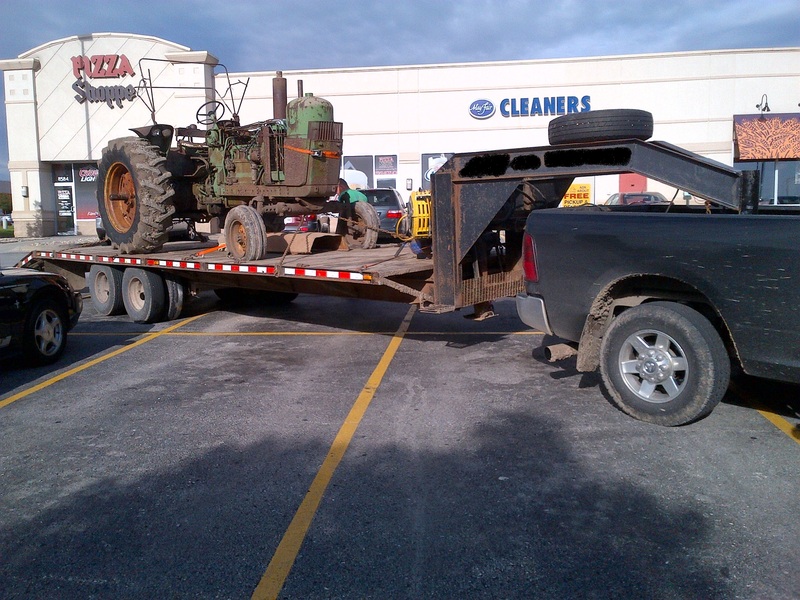 Kyle bought a 4010 LP off of Craigslist out of Kansas the other day. So we went and picked it up this weekend. We left at 11:45pm on Saturday and returned home about 12:30am on Sunday. This was our route. 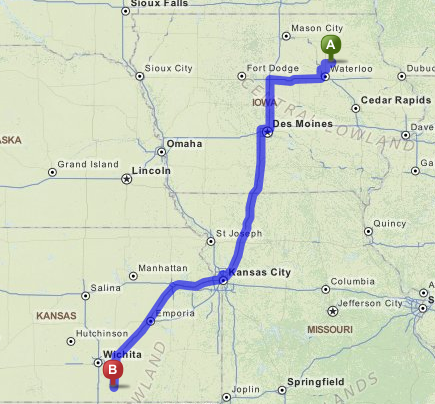 It was 560 miles one-way, about an 1100 mile round trip that took us 23 hours to complete including food & fuel stops, loading the tractor, changing a blown out tire, & stopping at the farming operation. When we arrived we found out that the tractor wasn’t exactly what or where he said it was. It was in the middle of a very muddy pasture. Also someone had shot the LP tank leaving holes and making it useless. And none of the implements were what he said they were! The 3-point plow was a pull type, the JD planter was a Case, the corn sheller was a silage blower! We got the tractor loaded after several hours of pumping up tires, pulling it out, and wenching it on the trailer. Here she is. Isn’t she just a fine piece of machinery?! Luckily Kyle likes restoration projects! 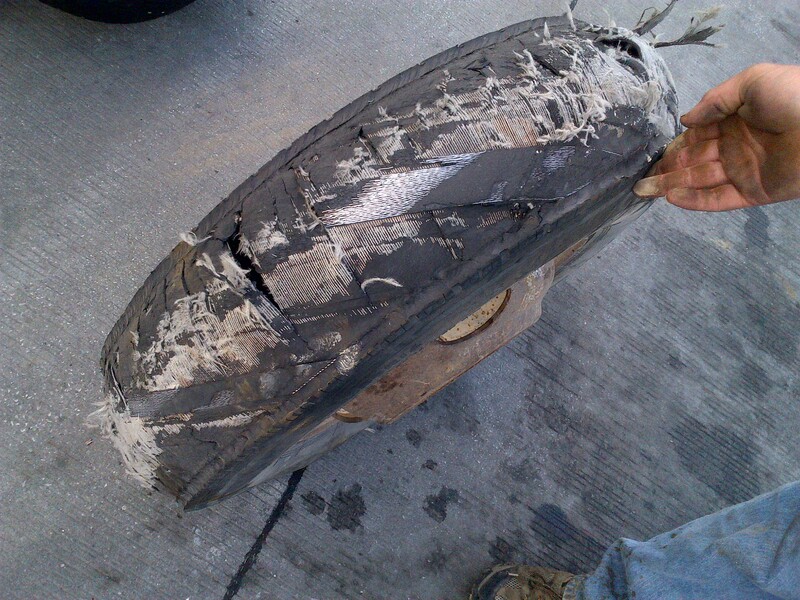 On the way home we may or may not have blown out a tire. Hint: We did. 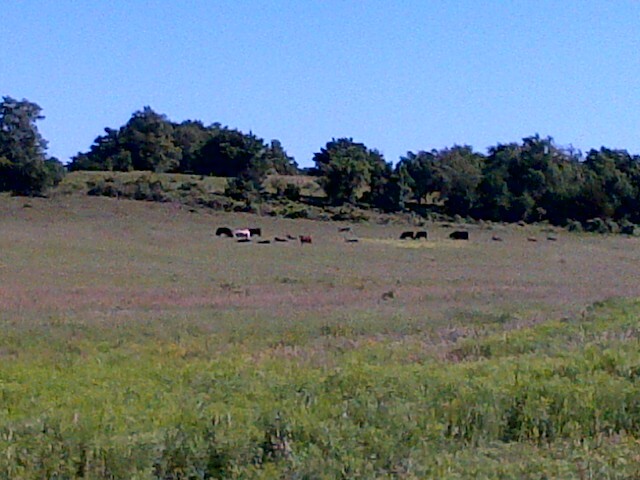 It was about 85 degrees when we were in Kansas and humid. Boy, was it hot. I wasn’t used to it since Iowa’s been un-seasonally cool this spring. Whoo! Luckily we packed a cooler with water & pop. Also, one thing I learned about the south: they don’t do anything on Sundays! Everything is closed unless it was a major chain store (Wal-Mart, McDonald’s, Conoco, etc.). I’m not saying there’s anything wrong with that though, it’s just not like that around here! Before heading home we stopped at the farming operation that Kyle’s family is part of, it was only a half hour out of the way so that worked out good! Even though the tractor wasn’t exactly what we expected it was overall a fun trip.